The three-dimensional quantitative structure-activity relationship (3D QSAR) models have many applications, although the inherent complexity to understand the results coming from 3D-QSAR arises the necessity of new insights in the interpretation of them. 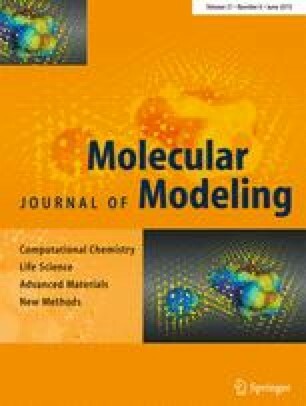 Hence, the quantum similarity field as well as reactivity descriptors based on the density functional theory were used in this work as a consistent approach to better understand the 3D-QSAR studies in drug design. For this purpose, the quantification of steric and electrostatic effects on a series of bicycle [4.1.0] heptane derivatives as melanin-concentrating hormone receptor 1 antagonists were performed on the basis of molecular quantum similarity measures. The maximum similarity superposition and the topo-geometrical superposition algorithms were used as molecular alignment methods to deal with the problem of relative molecular orientation in quantum similarity. In addition, a chemical reactivity analysis using global and local descriptors such as chemical hardness, softness, electrophilicity, and Fukui functions, was developed. Overall, our results suggest that the application of this methodology in drug design can be useful when the receptor is known or even unknown. The online version of this article (doi: 10.1007/s00894-015-2690-5) contains supplementary material, which is available to authorized users. Thanks to the Universidad de Talca (CBSM)) for the continuous support to this investigation, to the postdoctoral project N0 3150035 (FONDECYT, CHILE), to Dr. Ramon Carbó-Dorca (Universitat de Girona, España), and finally Dr. Andrzej Sokalski (associate editor) for their important comments. World Health Organization. Obesity and overweight. Consulted January 20, 2014. http://www.who.int/mediacentre/factsheets/fs311/en/index.html. Reported in April 8, 2014.